It’s never too early for celebrities to start wearing the latest collections. The likes of Rihanna, Celine Dion, and Zendaya have been pulling their looks directly from the runway for ages, and today, at the Commonwealth Day festivities in London, fashion’s favorite royal showed she’s just as forward thinking. 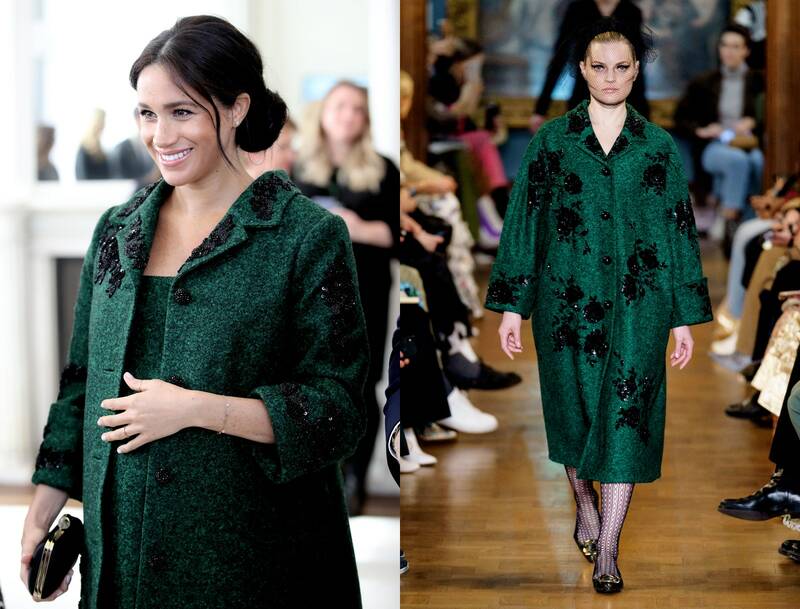 In the opening look from Erdem Moralioglu’s Fall 2019 collection Meghan Markle dazzled the crowds in Trafalgar Square when she and Prince Harry arrived to visit Canada House. Emerald green and covered in sequin embroidery, the oversized wool coat and matching dress combo made an impression when it was first seen on model Guinevere Van Seenus during London Fashion Week. 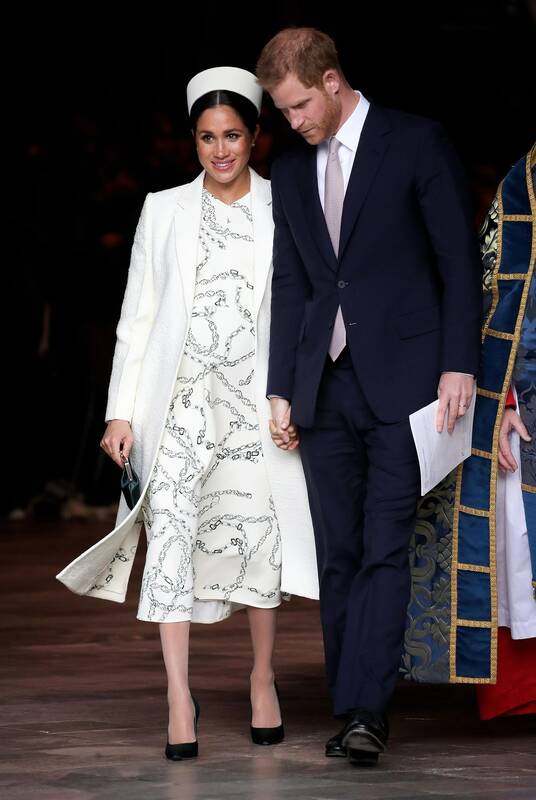 Markle skipped the veil and pointed flats, preferring to complete her look with Aquazarra heels and a smart black clutch. The Duchess has always made thoughtful fashion choices and her decision to wear the designs of Erdem Moralioglu, who memorably dedicated his Spring 2018 collection to Her Majesty Queen Elizabeth II, made for an appropriately regal style moment.